Google is now an official Internet service provider with the launch of Google Fiber, which will provide 1 gigabit Internet access and TV service. “Google Fiber is 100 times faster than today’s average broadband. No more buffering. No more loading. No more waiting. Gigabit speeds will get rid of these pesky, archaic problems and open up new opportunities for the Web,” Google said in a blog post. Initially, Google Fiber will only be available in Kansas City – Kansas and Missouri – and will only roll out after enough people in a given neighborhood sign up for the service. Google today encouraged residents in the region to pre-register and get their neighbors to sign on, too. Pre-registration is $10 and is open until Sept. 9, at which point Google will see how many people have signed up and decide where Google Fiber will roll out. Neighborhoods need between 5-25 percent of homes to sign on in order for it to be cost effective, Google said. Google is offering three service packages. The Web-only Gigabit Internet plan is $70 per month and includes a network box with advanced Wi-Fi and 1TB of cloud storage. The selection includes a one-year service agreement, though you can waive that by paying the $300 installation fee. With Gigabit + Google Fiber TV, Google promised hundreds of channels and on-demand shows, as well as 2TB of DVR storage and eight tuners. Subscribers will get a new Nexus 7 tablet, which will serve as a remote control. The package will cost $120 per month and include a two-year contract unless you pay the $300 construction fee. A list of available TV channels is on the Google Fiber website and they include Viacom channels like MTV, BET, Nickelodeon, and Comedy Central. Missing at this point are Disney-owned channels like ESPN, the Disney Channel, and ABC Family, so Google has likely not secured a deal with Disney just yet. Premium channels like Showtime and Starz are on the list, but HBO and Cinemax are not. “This channel lineup is only a representative lineup and is subject to change,” Google said in the fine print. Google is also offering free Internet service to those who pay the $300 construction fee. Subscribers will get 5 Mbps Internet access at no monthly cost, though they can spread the $300 fee out over 12 months. Google promised that the free Internet option will be available for at least seven years. None of the plans include data caps, Google said. What if you have a service issue? Google said its customer support line will be open from 8 a.m. to 11 p.m. CST on weekdays and from 9 a.m. to 5 p.m. on weekends. The company also has a “Fiber Space” in Kansas City, MO. where customers can speak with a Google Fiber team member, but it’s unclear if Google Fiber technicians would be on call like other U.S. cable providers. 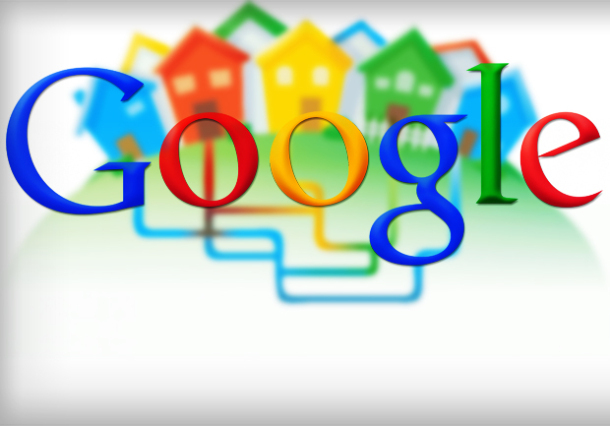 Google expects to have fiber connections built to the top 50 percent of “fiberhoods” by mid-2013. After Sept. 9, the company will publish a calendar with an estimated construction order. Google first announced that it would develop ultra high-speed broadband networks back in Feb. 2010. At the time, it promised fiber-to-the-home (FTTH) connections that are “100 times faster than what most Americans have access to today.” By March 2011, Google selected Kansas City for its first network, and earlier this year there were rumors that the search giant would also be offering TV service.